The annual Tuba City Spring Festival has always been about celebrating the younger generation and after more than a decade continues to do so. The spring festival started as a fundraiser for student scholarships 15 years ago, according to local leaders. In fact, leaders here just wrapped up a two-day workshop for youngsters in Western Navajo. The workshop called “Failure Is Not an Option” is designed every year to motivate and inspire the young people. The speakers this year were Thomas Amaya, Joe Baca, Amanda Blackhorse and Dyami Thomas. “Failure Is Not an Option is more about getting real with these (kids) and presenting them with people who’ve faced obstacles, challenges, or maybe who’ve fall and gotten back up,” Sixkiller explained. And this is what the spring festival is about – the future of the community, said Sixkiller. 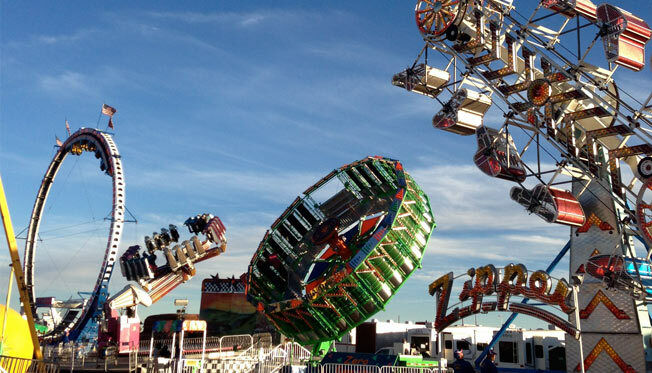 The festival begins today (April 4) with family day at the Western Navajo fairgrounds and a community cookout, fun run and walk, volleyball tournament, Zumba, arm-wrestling and Kentucky Fried Chicken hot-wing eating competitions. On Friday, the day will begin with the Fool’s Classic Roping at the Western Navajo Fair rodeo arena and ends with Window Rock band Doreen and the Remedy at the new amphitheater. The headliner for Friday is country singer Tim Hurley, who is based in Nashville, Tennessee. Hurley comes every year to visit and he has support here, said Sixkiller. The festival continues all day on Saturday beginning with the Fool’s Classic Roping and ending with a country-western dance. The ARIZE Fashion Show, coordinated by local designer Marisa Mike, will be held in Tuba City Boarding School’s cafeteria. The fashion show is also geared toward the youth, said Mike. A spaghetti dinner is set at the chapter house on Saturday night and Sunday’s main attraction is the half marathon and bike race, which is now in its second year, said Sixkiller. The scenic, half-marathon and bike trail is the Moenave Road which takes participants through panoramic views of the Little Colorado River, the Grand Canyon and Dook’o’oosłííd. The race starts at the old Tuba City airport and goes through sand dunes and the communities of Monave and Hidden Springs. “It’s a tale of two takes,” Sixkiller added. “This community – when we have a community event, these guys are just wanting to jump on it. It’s great! The spring festival is also a fundraiser for the annual Western Navajo Fair. Information: Western Navajo Fair office, 928-283-5544.